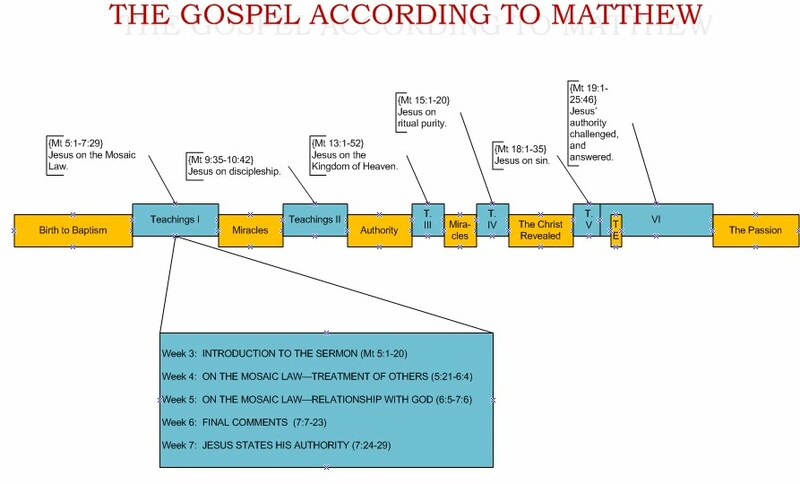 In the previous weeks, we have been exploring Jesus' sermon on the Mosaic Law. He set the stage by reminding the Jews that they had lost their position of influence in the world, and said that the reason was because they had obeyed on the letter of the Law, rather than the Spirit. He then gave a discourse on the Law, explaining how we are to treat others, and how we are to relate to God. Now, as we close out the Sermon on the Mount, Jesus mentions several proverbial-style sayings as He begins to close out the sermon. When this very famous passage is invoked, it is generally used to remind us that we should be more bold in prayer. Sometimes this principle (which is undoubtedly true) is taken to an extreme, with purveyors of the Prosperity "gospel" saying that God is just waiting around to give you tons of money if you just asked for it. Yet strangely, it does not seem that Christians win the lottery more than unbelievers. It is does not seem that Christians avoid miscarriages or cancer or other hardships at a better rate than unbelievers. In fact, you could argue that Christians suffer more, not fewer, hardships: and this despite the fervent prayer of pious believers. So was Jesus wrong? No, of course not. You simply have to not take what Jesus said to an extreme that it was not meant, and also to consider the context of the statement. Recall that up to this point, Jesus has been astonishing His hearers by expounding upon the Law. He has been telling them to be even more pious, and to be perfectly forgiving, and to be non-judgmental. Just a few verses before He told us not to worry about money, so obviously He is not referring to financial security here. Just a few verses before, He told us that God knows what we need before we even ask for it. Do you think Jesus was so foolish that He forgot everything He just said, and now contradicts it? To what is Jesus referring here? Notice the result of each action: the gaining of wisdom. Asking questions leads to answers; seeking something leads to enlightenment when it is found; knocking on a door gets it opened, revealing its contents. Jesus has just finished His discourse on the Law--much to the astonishment of those who are hearing Him--and He tells them that these things are knowable: they need only seek God, and they will find Him. Then Jesus reminds us that like any good father, God gives us what is good. Jesus seems to be speaking in joking terms here to His listeners, deliberately using exaggerated examples (asking for a piece of bread and recieving a stone instead; asking for a fish and receiving a snake). It is almost as if, at the end of a rather shocking and serious sermon, Jesus lightens the mood a bit, saying in essence: If you're a dad, your kid doesn't sit down at the table to find out that you made him rocks and snakes for supper. If you, being evil, give your kids good gifts, won't God who is perfect give His children even better ones? So just ask Him and He will enlighten you. Search for Him, and you will find Him. Knock and He will open the door. Most people separate these two statements, which I think inappropriate. They flow together too smoothly to be separated. These two serve as Jesus' very succinct summary of everything that He said before. He says that the entire Old Testament ("the Law and the Prophets") can be summarized by what we now call the Golden Rule: do unto others as you would have them do unto you. He then says that we are to go through the narrow gate that is harder but leads to life, and to avoid the wide gate that leads to death. Now it is worth knowing that in ancient Jerusalem (actually, in most ancient cities), the city has large gates which allow entrance. So Jesus is using an analogy saying, "Everyone else is trying to enter the kingdom by following the wide and obvious path, but this way leads to death. Instead, search around the city walls and find the narrow gate that is harder to enter in, but leads to life." He clearly is equating the "narrow gate" with following His "spirit of the Law" preachings before, which He has connected as well to the Golden Rule. By default, then, the "wide gate" is the Mosaic Law in general, as the Pharisees and other Jews were following. So here, Jesus is clearly saying--the wide and easy gate is to avoid murder and adultery and lying under oath; the narrow and righteous way, though, is to avoid the root causes: anger and lust and lying in general. This is a section clearly meant to be read together, but which is generally split into three separate statements. People read verse 15 all on its own, to be wary of false teachers. Then they separately quote verses 16-20 about recognizing people by the fruits of their actions--often using this as an excuse to judge other people. Then they read verses 21-23, where Jesus says that many who claim to follow Him will be surprised when He disowns them; this is usually quoted to try and scare people into a conversion. But it is clearly wrong to separate these verses, as they are one statement from Christ. Here Jesus is talking about the danger of false teachers--people who claim to be teaching God's word, but in reality are not. When we move to verse 16, don't forget--JESUS JUST TOLD US NOT TO JUDGE! He is not contradicting Himself. Earlier He told us not to judge others for their sinfulness; but here, Jesus gives us full permission to judge the teachings of those who are claiming to bring God's word. About these people--teachers of God's word--Jesus says, you may judge them by their fruits. If they are truly godly people (and He just defined godliness, if you will remember, as adhering to the spirit of the Law), then they are teaching God's word. If they are not--that is, if they are mean spirited and judgmental and unforgiving--then they are not really teaching God's word. And then--about these false teachers!--He says that at the end of time there will be those before Him who have done many works in the name of God but will still be cast out of His presence. Do you see how differently this section reads, in context, than the way in which it is normally preached? This is a section about false teachers: those peddling heresy. We are commanded here to be wary of those teaching things which are false, for they may do a lot of great things in God's name, but they do so futily, without knowing Christ. Jesus tells us that we are able to discern which teachers are real or false by looking at the kind of fruits that their ministry bears. One other thing I want to note--many of these people do not know that they are destined for Jesus' punishment. Notice that in 22, these false teachers are so convinced that they did God's will that they are even willing to challenge His ruling! They are sincere in what they do--but what they do is anti-Christian. How many megachurch preachers and televangelists today sincerely believe that they are furthering God's cause, but will find themselves on the outside of His kingdom when all is said and done? If you are hearing someone preach, Jesus commands, use your spiritual discernment to determine whether the preacher is spreading God's word or not. My suggestion anytime you hear a new doctrine is to ask yourself whether the teaching--and the teacher--are in line with what Jesus speaks in His Sermon on the Mount? Specifically, Jesus taught us: the spirit is more important than the letter of the Law; anger and lust and deception and legal retaliation and hatred are always wrong, regardless of whether they lead to outward public sin or not. He taught us that we are to give and pray and fast in secret, avoiding public praise for our holiness. He told us not to worry about financial security, but to simply pray to get by today, and God would provide for us. He told us not to judge others, and instead to treat others as we want to be treated. So is this what the preacher you are listening to is teaching? Does his life reflect it? I rarely like to call out specific preachers in my blog, but I will do so to one Joel Osteen at this time. Osteen's teachings simply do not align with the above. His teachings delight in seeking public praise for our holiness. He teaches us to worry greatly about our finances, twisting Scripture to imply that if you "name it and claim it", God will give you whatever 'blessings' you wish. And his lifestyle--living in a veritable palace, renting a sports arena to preach in, etc.--does not mimic Jesus' model of preaching and simple living. Using Jesus' criteria above, we would have to identify Osteen as a false teacher and a wolf in sheep's clothing. Now I for one do not think he does it for the wrong reasons; I think he is quite sincere. And I fear that he may indeed stand before his Master one day, saying, "But Jesus, look at all the great things I did in your name--the tens of thousands in attendance at worship every Sunday, the millions of books about you sold...". And he may well receive the answer in verse 23.